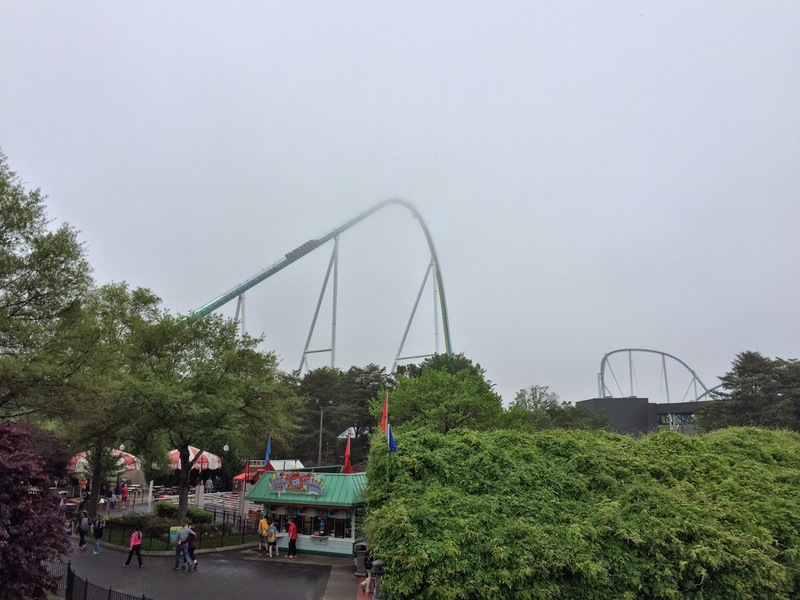 I'm back again in my Blogspot to tell you about my recent trip to Carowinds! To my surprise, I had a fantastic weekend despite the gloomy and rainy weather, which I dreaded a lot (as you can read in my post a couple of days ago). 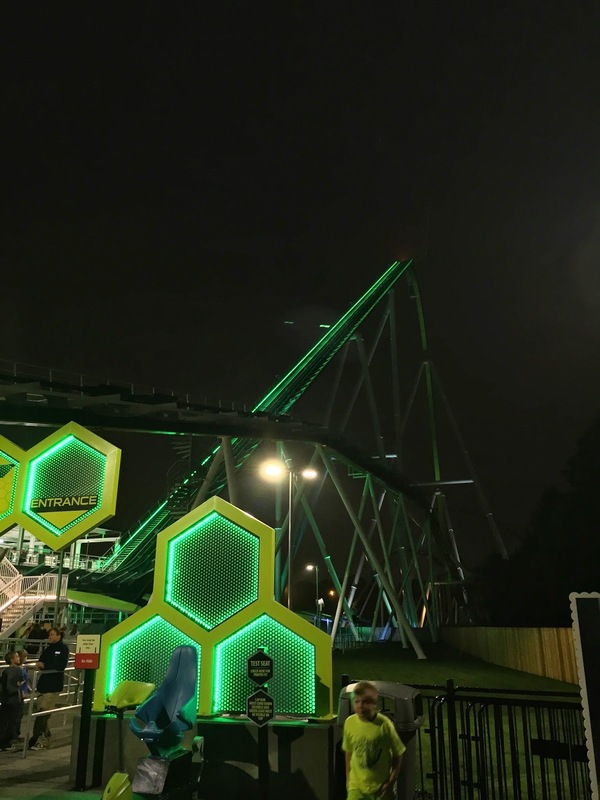 I bought a Silver Season Pass, which -- for the 2015 season -- is priced at $81.00 and includes many benefits such as discounted food and merchandise, unlimited visits for the whole season, and of course the most important one, Exclusive Ride Time (ERT) on Fury 325. Expecting a huge crowd for the weekend as I have read from threads and forums ("OMG line for Fury was 2 hours all day long! "), I bought this pass right away. After all, even if it is crowded, it is going to be cheaper anyways because I will be visiting both Saturday and Sunday. By 9:15am, I had my Season Pass processed, my bag pack checked, and made my way into the park. This is what I like about owning the Season Pass: being let in 30 minutes before the park opens to ride one of the world's brand new, biggest roller coasters. I mean... what's not to like? The moment has arrived. There it was, Fury 325 in all of its glory. On a rainy, dark, gloomy day with less than 100 people in the park, my heart thumped fast and loudly. "Does this mean I got to ride this beast again and again?" WARNING: No loose articles whatsoever is allowed on Fury 325 and the Fury 325 station. All loose items, such as back packs, purses, earrings, necklaces, and such must be left with non-riders or stored securely in lockers located next to Fury 325. The cost for these lockers are $2 for the first 2 hours with the option of extending it for additional $1/hour. RIDERS WHO MISTAKENLY BRING THEIR LOOSE ARTICLES ON-RIDE WILL NOT ME ALLOWED TO RIDE AND WILL LOSE THEIR PLACES ON THE LINE! The first drop is truly one of most amazing drops I have ever had. This drop is fast, intense, and just pure mind blowing. At 81 degrees, the drop is almost vertical. In the middle of the drop, the riders even experience 1.5 seconds of weightlessness until they reach the bottom of the drop, which by then riders will hit a top speed of 95 miles per hour (mph) with a maximum vertical G-Force of approximately 4.0. From there, the coaster goes through a 190-foot high barrel turn, followed by 2 S-curves surrounding the Main Entrance Plaza. When I read these parts before traveling to the park, I thought of these parts to be, "Ah, whatever. This is going to be the relaxing part of the ride." Turns out these parts are so intense. With speeds staying at around more than 80 mph throughout this portion, you would not have the time to relax as the wind keeps blowing into your face. 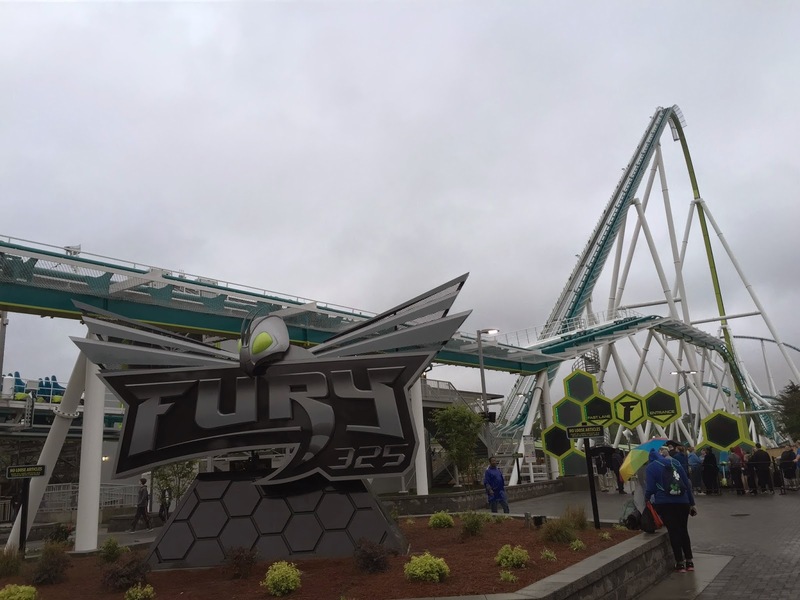 Living to its name, Fury 325 is fast and furious! Following the S-curves, the train reaches a portion that I could deem as wonderfully designed and simply signature and special, the horseshoe. At the top of this element, the track reaches an astonishing 91-degree turn, which then throws down train down the tunnel bellow the bridge at the Main Entrance Plaza. The riders experience wonderful floater time here. Most of the riders also seem to be scared of the tunnel, as they are merely inches away from the trains. From here, the train goes through what I like to call "the second half." Whereas the first half is all about speed, the second half is all about airtime. There are three airtime hills after the tunnel, which are nowhere as extreme as those of Skyrush, but nevertheless still pretty intense for Bolliger & Mabillard standard. The airtime hills, despite making you feeling like being thrown out of the train, are perhaps the chance for terrified riders to relax before the train hits the brakes at the end. After three airtime hills, the train hits the brakes and then makes its way slowly back to the station, where the staff then asks all of them, "Welcome back, riders! How was your ride!?" Speed! Fury 325's top speed is an amazing 95 miles per hour, which makes it the world's 6th fastest roller coaster. This also makes Fury 325 faster than famous roller coasters like Millennium Force and Intimidator 305. For me, speed is my favorite roller coaster element, and as such Fury 325 is such a blessing and God-like creation for me because riders experience such forceful for an extended period of time, particularly in the S-curves portion. Lateral G-Forces! Okay, not really the lateral G-force that you experience on a Wild Mouse coaster, but rather that kind of force that makes you feel as if you are getting thrown out of your seats. The best seats for you to experience this is on the outer left seats on Row 4 and 5. The sensation is very wild and thrilling. I was speechless by how amazing I feel. Smoothness! I love huge coasters. I love huge drops. I love high speed. But when the coaster is rough, it really makes me hate the coaster. Thankfully, Fury 325 is extremely smooth (even smoother than Intimidator)! Unlike the extreme pain that I experienced while riding Skyrush. It was just a pleasant roller coaster, making it re-rideable. But if I want to say one thing, it would be that it does not have much airtime. I fancy airtime, as it is my 2nd favorite element of a roller coaster. Yes, there are some great airtime moments at Fury 325, especially in the last three (3) airtime hills. However, they are not as extreme as my liking. My ideal airtime would be that of Skyrush (minus the painful restraints of course). But of course, this is a minor problem. No big deal. 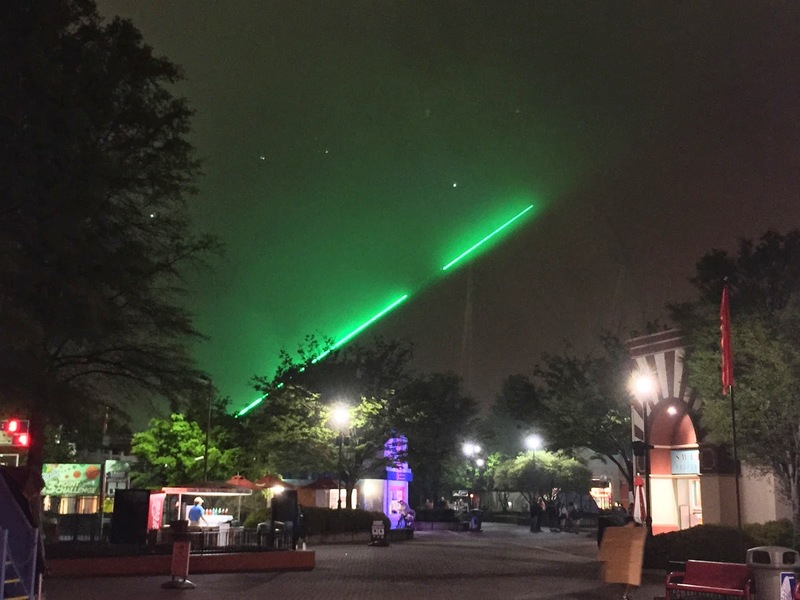 Fury 325 might not be the best roller coaster on Earth. In my list, Fury 325 is my 3rd favorite steel roller coaster. 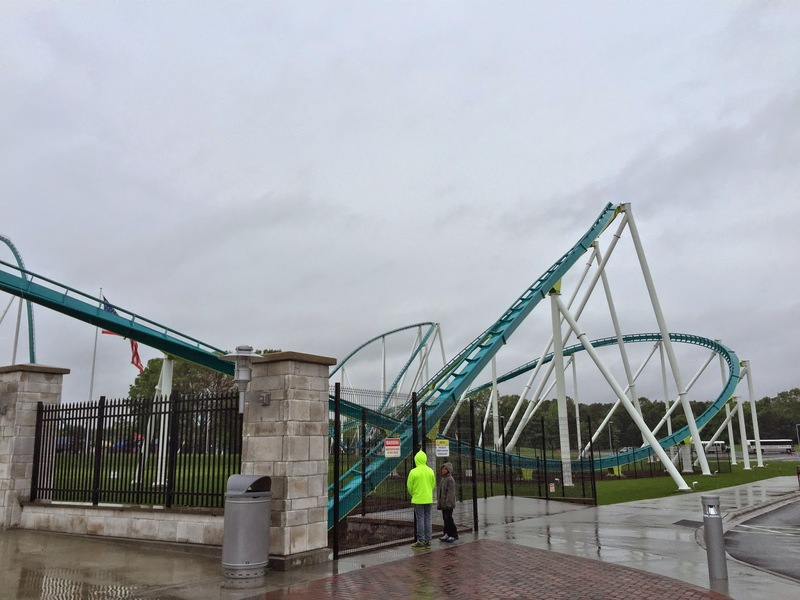 Nevertheless, I have to give kudos to Fury 325 because this is definitely a game-changing attraction for Carowinds. 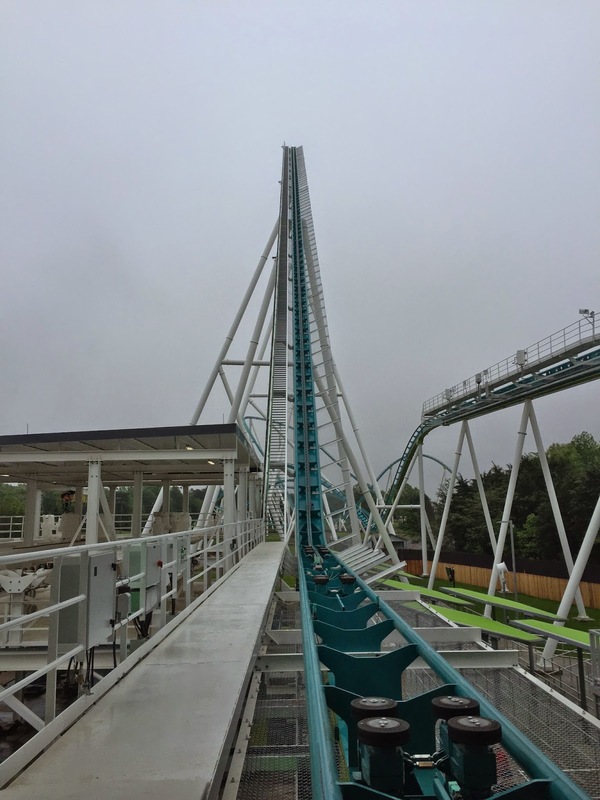 As the world's fastest and tallest giga coasters, as well as North America's 2nd longest roller coaster, Fury 325 is a world-class attraction that would further continue to attract more visitors to Carowinds. 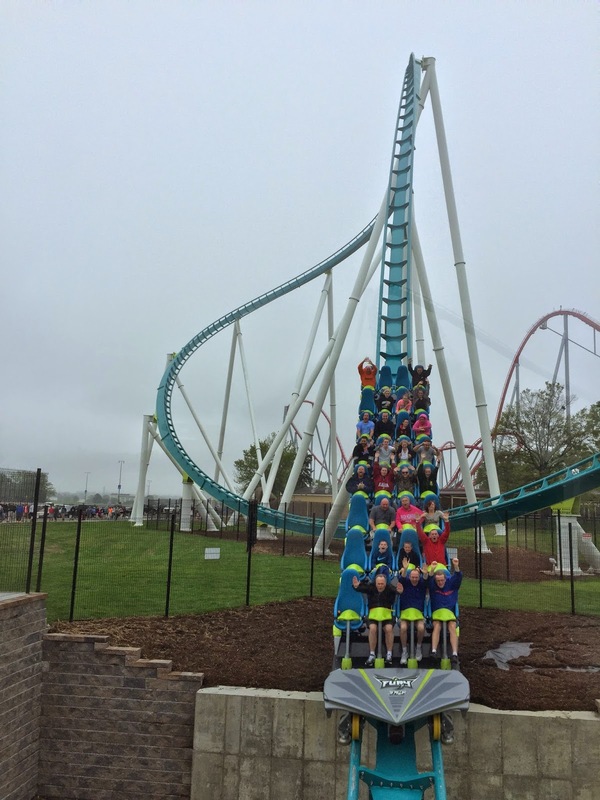 Is it worth visiting Carowinds just to ride Fury 325? I would say -- with all of my heart and mind -- YES! It is just that amazing. Click here for Part 2 of my trip report, where I talk about the other coasters.